Live video mixing at the “Requiem for Analog TV Noise” at the Cornell Cinema on 12 November, 2009. 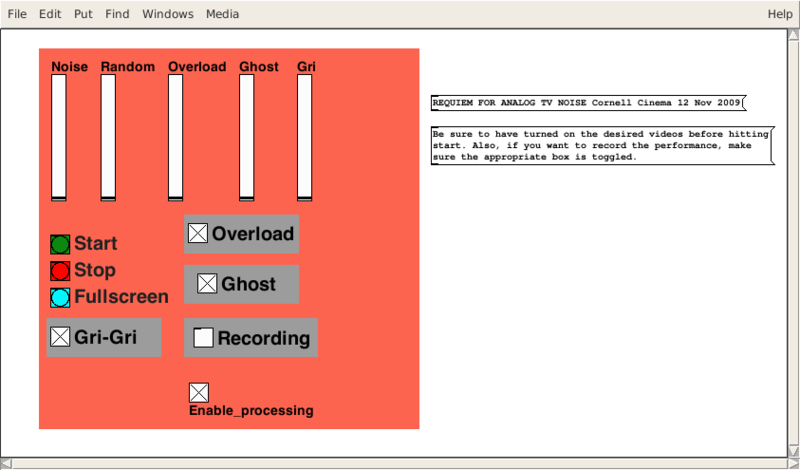 Using pure data and pdp, we mixed live noise sources, filters, and pre-recorded video tracks. You can download the attached files for the pure data patches; note, however, that you will have to change the video sources and MIDI inputs to your own specifications.